P.G. and U.G. Department of Physics of St Philomena College had organized a sky watch programme, “Gazing star for cosmic feeling” on 26th March 2019. The participants had great time in learning about the various celestial bodies from one of the very best in the field. Prof. Ramesh Bhat, Principal, Sri Mahaveera P.U. College, Moodabidri. 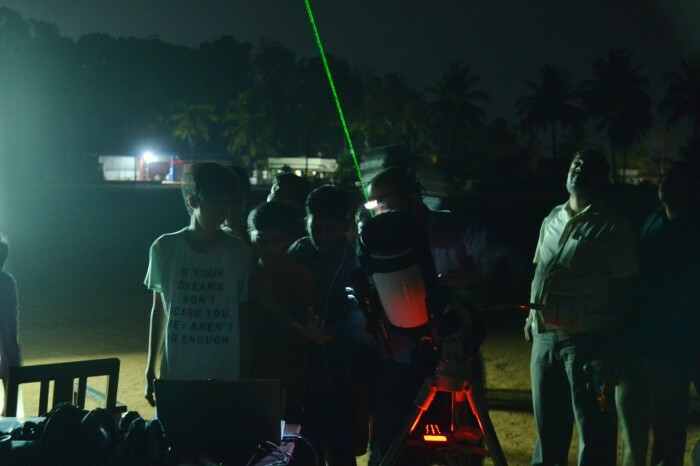 He is an expert and very well-known in conducting sky watch programme in the coastal region of Karnataka. And Mr. Naveen Chandra, Amateur Astronomer, Adani Wilmar Ltd., Mangalore were invited as the resource persons. 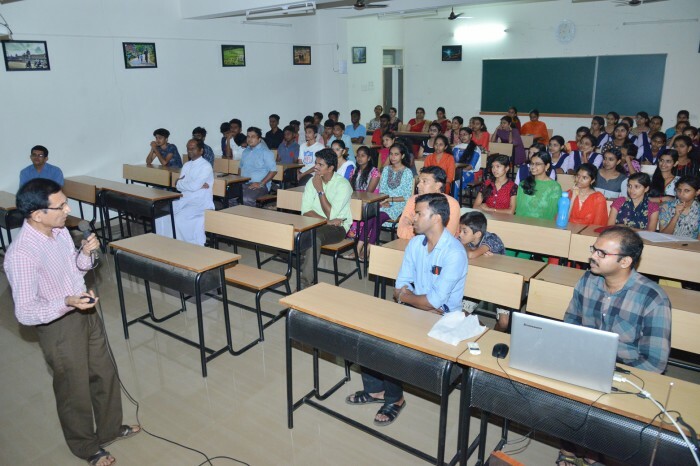 The programme was organized for school and college students and public in and around of Puttur. The students and teachers from various educational institutes were present in the programme. Rev. Fr. Vijay Lobo, Principal, St Philomena P.U. College was the guest of honor. About 150 to 200 people were witnessed the programme. Dr A.P. Radhakrishna welcomed the dignitaries and participants and gave a brief introduction of resource person. Fr. 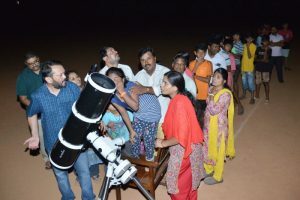 Vijay Lobo appreciated the department for often organizing star gazing event and thus invoking interest among students and public regarding celestial phenomenon. 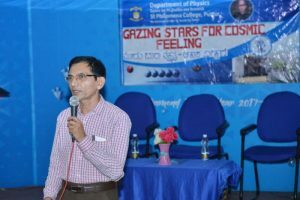 Prof. Ramesh Bhat gave the introductory lecture on stars and the solar system and the idea of locating a particular star or the constellation in the night sky. 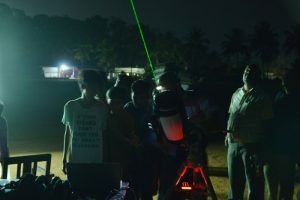 After the introductory talk there was star gazing event with naked eyes and using Ultra-Modern Telescope lead by Prof. Ramesh Bhat and Mr Naveen Chandra at the College ground. The Coordinator of P.G. Physics and convener of the programme Dr E Deepak D’Silva rendered vote of thanks.